Canopy by Hilton has announced the opening of the lifestyle brand’s second property worldwide. 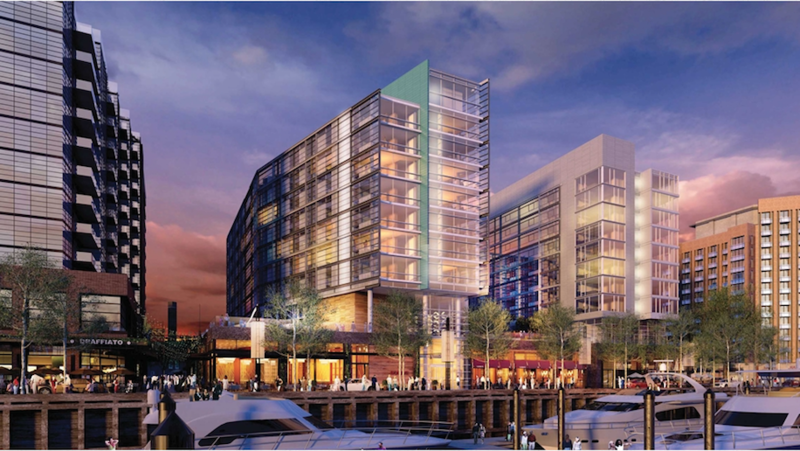 Situated in The Wharf, part of Hoffman Madison Waterfront’s US$2.5 billion mixed use development, Canopy by Hilton Washington DC features 175 rooms, a rooftop bar and lounge set to open later this month, a gym and meeting rooms. The 10-storey hotel has rooms offering riverfront or city views, with interior design featuring nautical influences using grey and beige tones. Guests can make use of bicycles during their stay, alongside a 24-hour gym and business centre. The brand opened its first hotel in Reykjavik in 2016. It plans to open a second Washington property in Bethesda North in April next year, with Portland and Dallas to follow by summer 2018. London City airport will see an opening in early 2018.